Are You A Creative Designer? Creativity is something we learn about from an early age. We are all creative in different ways, and one example of how that shines through is in graphic design. These days, anyone can call themselves a designer thanks to the array of tools at their disposal. But, only those with a real eye for design can make a name for themselves in the industry. A real graphic designer never â€œshuts downâ€� when they finish their work each day! Whenever they come across everyday objects in life, they mentally think how they could improve their design. It doesnâ€™t matter whether the items in question are pop art images or company logos, they will have lots of ideas in their minds! Part of a graphic designerâ€™s job is to think of ways to make life easier for others. In the case of logo design, creating something relevant and memorable to a brand. Or, simplifying the layout of a productâ€™s design and packaging for â€œfrustration-freeâ€� handling and opening. 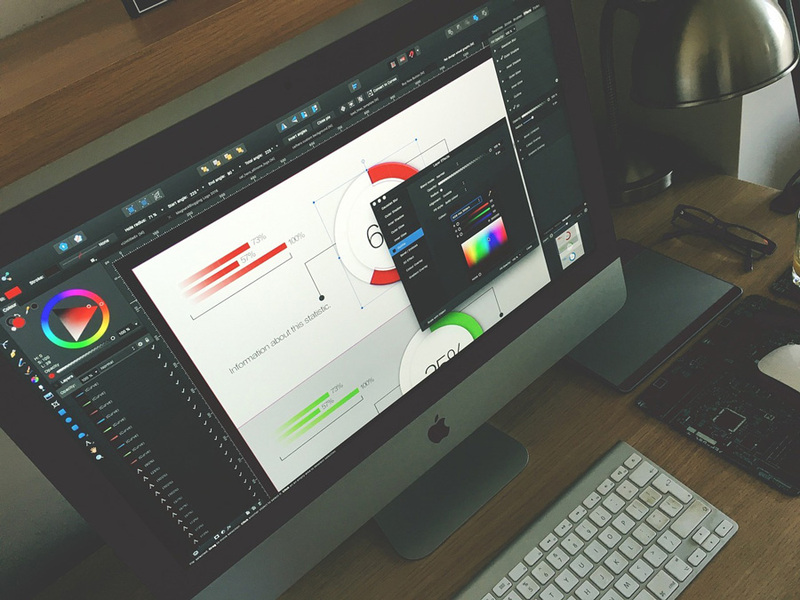 Itâ€™s a well-known fact that there is hardly a shortage of graphic designers in the world. A simple Google search will reveal an almost endless list of agencies and freelancers! What sets apart a creative designer from a mediocre one is their financial success from their craft. If you make a good living from graphic design and have scores of repeat clients, youâ€™ve definitely got a creative spark in you! Freelancers, in particular, will also have a good business head on their shoulders. Thatâ€™s because they know who their target audience is and how to attract them. Of course, working for yourself means you will need help in some areas like accounting, business tax advice, and so forth. But, many designers will also know a thing or two about web design and online marketing. Such combinations of skills are a surefire indicator that they are, indeed, a creative designer; their creativity spills over into other aspects of their work and life! To say a creative graphic designer is a perfectionist is probably the understatement of the century! Designers with a real natural flair for their work will only release work to their clients once they are happy with them. While they might have a design â€œbriefâ€� to work to, they donâ€™t work to spec. After all; their job is to make something visually appealing for a particular audience! Last, but not least, creative designers are like sponges; they want to learn more about their craft! From attending Photoshop seminars to learning from industry gurus, they want to stay on top of the industryâ€™s latest developments and trends. If the above statements still ring true, give yourself a pat on the back!